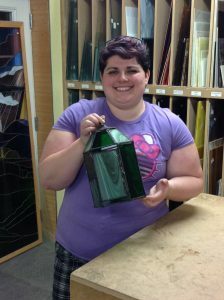 This is a course for individuals with at least basic previous experience with cutting, foiling and soldering stained glass. 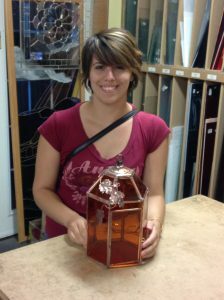 Students will make a stained glass candle lantern using metal came or copper foil. All materials are included with the course fee.